This train station is one of two serving the Birkdale area of Southport. It lies on the Southport branch of Merseyrail’s Northern Line. Northbound trains make the short trip to Southport. Trains travelling south go to Hunts Cross, via Moorfields and Liverpool Central. Birkdale Train Station is located on Liverpool Road in Birkdale, Southport. Facilities here include a ticket counter, waiting rooms, cycle racks, and a car park. Parking is free for rail users. There’s no shop or buffet at the station but there are plenty of shops and places to eat in the surrounding area. The other station serving Birkdale is Hillside Train Station, around one mile south of here. Trains departing from Birkdale Train Station. Trains arriving at Birkdale Train Station. Map showing location of Birkdale Train Station. 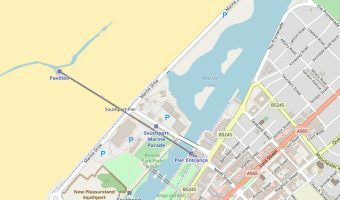 Interactive map of Southport, Merseyside. Shows tourist attractions, hotels, shopping, and more. 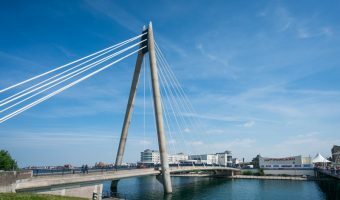 5-day weather forecast for Southport. View temperature, wind speed and chance of rain. Recommended things to do today.